Please visit our Open House at 318 2665 MOUNTAIN HWY in North Vancouver. 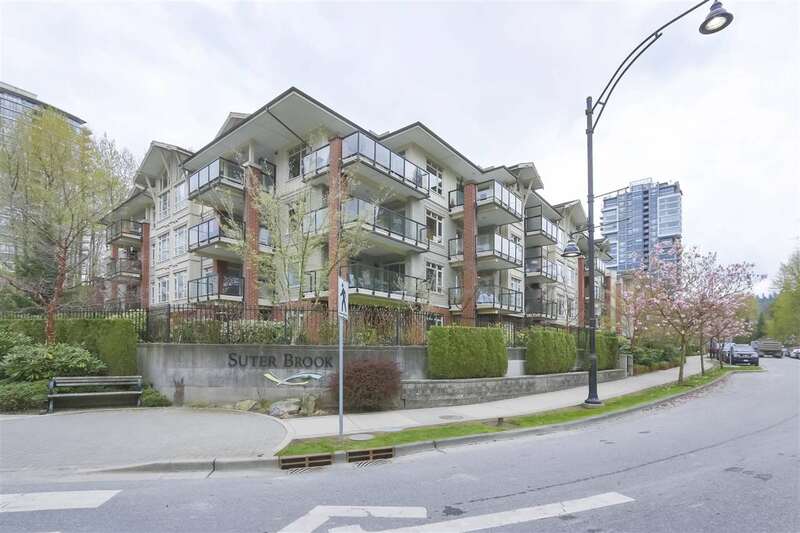 Beautiful 3 Bedroom, 2 Bathroom 1,107 Sq Ft unit in the heart of Lynn Valley! This North West facing CORNER unit is conveniently located just 1 BLOCK to Lynn Valley Center mall with great services inclu. Browns, Safeway, Save-On Foods, Shoppers Drug Mart & lots of Services! Built in 2015 this lovely home feats a large open kitchen with white quartz countertops including a large breakfast bar, dark laminate flooring throughout the main living areas & carpeted bedrooms. From the kitchen view the large main living and dining areas with stunning mountain views & beautiful evening sunsets! Master bedroom has a large spa like bathroom with his & her sinks, soaker tub & separate shower. Custom closet organizers in all the closets & window screens added to this wonderful suite. 2 Parking + 2 Storage Lockers complete the home! Gym, Dog & Bike Wash in Building! Great location at the base of all of North Vancouver's beauty, trails & Mountains! OPEN HOUSE SATURDAY APRIL 20th & SUNDAY APRIL 21st 2 - 4 PM!